After T-Ray's depressing showing last week, I decided to go with something different. Something outrageous. 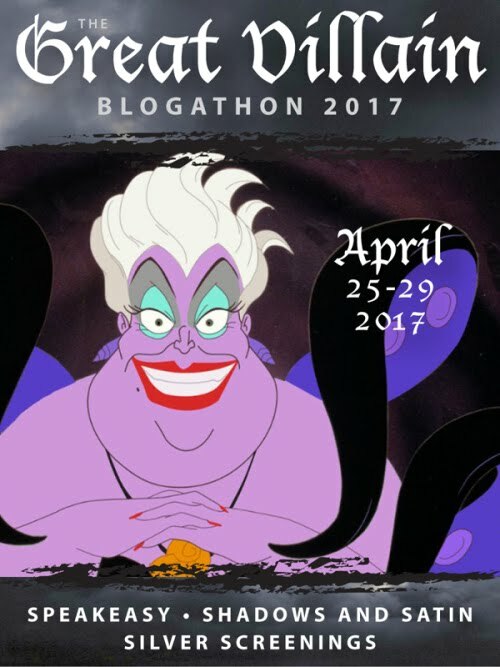 Truly, truly, truly outrageous. That's right, it's the joke everyone uses when they talk about Jem and the Holograms. Based on a toyline designed to compete with Mattel's Barbie and the Rockers line, Hasbro created a cartoon featuring two dueling rock bands full of huge 80s hair, face paint, and attitude. 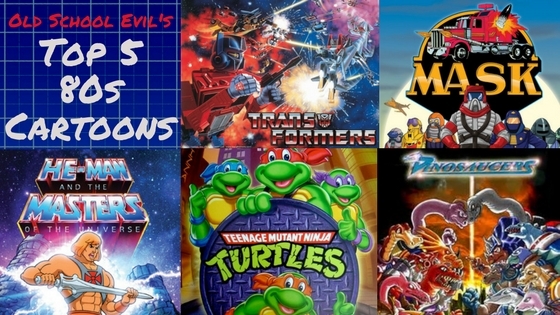 In a market filled with giant robots blasting lasers at each other and muscle-bound heroes waving swords around, Jem (as it was officially called) was a show that attracted a mostly untapped market - girls that were too old for Carebears and Rainbow Brite. But, I'd say the cartoon did more than that, considering me, as a boy that loved the former cartoons, still loved watching this show as well. The music was decent and the characters were still put in pretty fantastical situations. I'll even admit I had a thing for Kimber, and I doubt I was the only one. Jem focused on Jerrica Benton, heir to the Starlight music industry after her father died in the first minute of the show! Okay, he died before then, but the first scene is at his funeral, so that's still a pretty dark introduction. Still not as bad as Wildfire though. Along with the recording company, she received the Starlight House, an orphanage full of radically-dressed girls. When she needs money, she goes to her dad's company, only to be blocked from the money by his former partner, Eric Raymond, who plans to take the business to himself. He sets up a phony rock competition, hires a bunch of crappy bands, and sets up his own band to win - the Misfits. Jerrica finds a hologram machine named Synergy and creates an alter-ego named Jem to compete in the band and win her company back. It's a pretty standard premise, but filled with a ton of mortal danger because of Eric's and the Misfit's total lack of regard for human life. 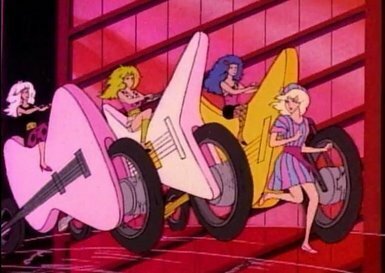 Throughout the show, the Misfits (from left, Stormer, Pizazz, and Roxy) try to sabotage the Holograms, committing petty thefts and vandalism that routinely endanger the rival band's very lives. In the first episode, they steal the Hologram's musical equipment and during a chase, throw the guitars and speakers in the road in front of Jem's Rockin' Roadster, causing the vehicle to spin off the road and almost drive off a freaking cliff. The very next episode, while trying to stop the Starlight kids from moving into a prize mansion, Roxy climbs into a bull dozer to wreck the place and almost crushes one of the Holograms. The Misfits don't stop there, resorting to kidnapping and seducing a minor with alcohol. Okay no, it was a glass of milk, but still, you know what happened. At least Stormer appears to have a sliver of kindness in her heart, helping Ashley escape being crushed to death in a trunk and admitting she's only going along with the others out of peer pressure. Not to be beaten by mere harassment gone wrong, their manager Eric goes the extra mile to not only end Jerrica's threat to his business, he actively tries to kill her. He sends a goon named Zipper into the Starlight House where Jerrica and her band lives with all the orphans and he lights the place on fire and burns it to the ground. Sure, Eric only told him to "make her nervous" but that sounds more like plausible deniability to me. To top that, he puts a bomb in the mansion the Starlight kids move into. Let me remind you, all of this happens in the span of a few days. That's four potential death - the car crash, the fire, the bulldozer, and the bomb - in 48 hours. How are these people not in jail?! Let's forget the constant harassment and death threats and look at what's really important: the music. Every episode featured three songs, and generally the Misfits only got one. Compared to the dreamy tones that Jem and the Holograms sung, the Misfits's songs were screechy and filled with self-centered lyrics about taking what they want and, I don't know, kicking puppies. I did notice that their music had more instances of just repeating the name of the song over and over again. I think their first sing was just the title sung a dozen times in a row. While riding guitar-shaped motorcycles around a small office and almost running Jerrica over. Five attempted murders! Let's get to the ratings! Coolness - 5. 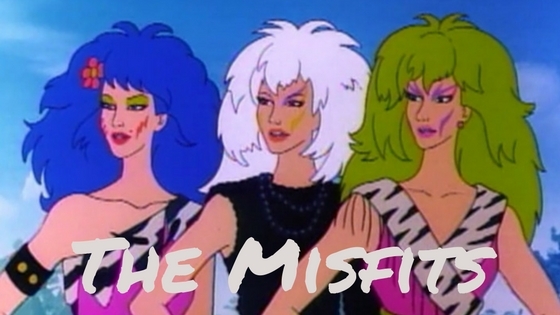 In a cartoon full of glitter and heavy eye shadow, the Misfits tend to look a little less cutesy than the Holograms. Though there's still a ton of pink to be found on them, it's not the primary color and often paired with a darker color. Together, they're voiced by Ellen Bernfeld (Pizazz), Samantha Paris (Roxy), and Susan Blu (Stormer). While Ellen doesn't have any other cartoon credits, and Samantha only voiced Rock-1 from Bionic Six, Susan Blu is a queen of voice actors, having voiced Arcee from Transformers and a ton of other female characters in the 80s, along with being a casting director in many more recent cartoons. 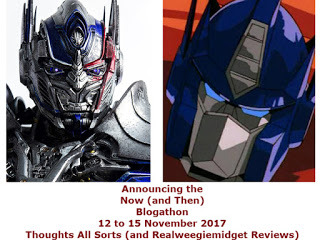 As for Eric, he's voiced by the ever-present Charlie Adler, most recently known for voicing Starscream in the live-action Transformers movie and Silverbolt in the cartoon series. Unfortunately, with the exception of Stormer, the voices are pretty generic: I couldn't tell the difference between the other two Misfits and Eric's voice is the usual evil guy and just doesn't compare to more popular villains like Frank Welker, Chris Latta, or even Peter Cullen. Though their music wasn't always as good as Jem's, it also didn't make me feel sick to my stomach as much as her sugary-sweet lyrics. Effectiveness - 6. Obviously, I can't rate these ladies on the same scale as other villains like Genghis Rex or Hordak. They don't have powers or magic or anything. They're just really mean people with no regard for the law or human life. They take advantage of everyone they can and make threats that even grown adults cower from. So I guess in that regard, they're pretty effective. Their plans don't always go the way they want them to, but they never seem to blow up in their face. They never have to face any real consequences. The same goes for Eric. After multiple attempts of murder, the only bad thing that happens is losing his job at Starlight Records. 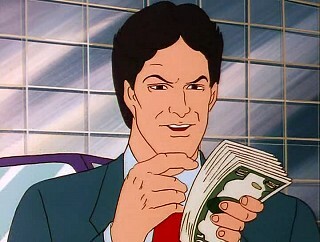 This is even after the police catch him holding the Holograms hostage and are shown putting the cuffs on him. Seriously, how are these people not locked up?